Teng Lay Group is the first leading Import Export and Transportation Company in Cambodia. Throughout many years, we have built international network of freight forwarding agents which able us to provide local and international transportation, Customs Clearance & Brokerage, Air Freight or Sea Freight, Logistics and Warehousing Management, Small and Heavy project Cargo services to most geographical areas of the world. No matter how large or small of your companies, we could provide you with the most cost effective solutions and the most reliable service at the most competitive price. For more than 20 years, Teng Lay Group is now the large conglomerate holding company consist of four service-providing companies namely Teng Lay Import Export and Transport, Teng Lay Engineering, Teng Lay Dry Port, and Teng Lay Development, which are based in Phnom Penh city. The companies are built under the expertise and operational experience to offer cutting-edge services to the customers. Currently, Teng Lay Group employs approximately 1,000 people across the nation. To excel at every business division and to help our customers and partners grow in Cambodian market. To be the leader in Industrial Warehousing Solutions. We understand that to provide Premium Customer Service and put every customers with top priority and top care is very important. You can come to Teng Lay with one stop service that consists of—Ocean and Air Freight, Customs Clearance and Brokerage, Inland Trucking and Railway Transportation, Open Container Yard, Dedicated Container Freight station and Depot Empty Storage, Warehousing and Supply Chain Management, and Stock Inventory Control. Whether by Ocean or Air, FCL or LCL, Teng Lay could offer you a premium service with competitive price. With our strong connection with multi-international companies as partners and our advanced technological tracking system, we are able to provide you up-to- date and accurate information about your cargo throughout the delivery cycle. In order to avoiding delays and securing your cargo is crucially important for your business whether it is import or export shipment. We provide you full Customs Brokerage Service that cover all legal documents preparation to make sure your cargo is available as planned. With both Customs officials and Cam-Control personnel based in our ICD port, TENG LAY provides fast and convenient import and export service. We have storage available for short, medium or long term purposes. Store your own containers, or rent one of our secure location. With Customs, Cam-Control and Police Officers based at our Dry Port, we are able to give you utmost convenience and swift inspections of your cargo. 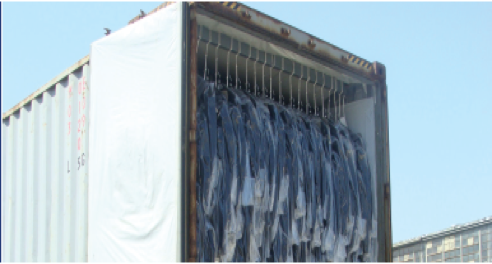 We also provide CY to shipping companies including APL, MCC, RCL, CMA, MJIC, MITSUI and many more. We have heavy equipment for lift-on/lift-off vessels to increase the efficiency of importing and exporting your cargo. Secure your stock at our high security facilities. Both the TENG LAY Depot and Dry Port can receive and inventory your cargo for short or long term storage in our private warehouse. We offer daily, weekly, and monthly inventory reports. We itemize your goods in Stock Keeping Units (SKU), and catch any cargo shortage upon arrival. Our Company provides all the services for every aspect of your daily inland transportation serving of all borders whether in or out of Cambodia. Our prime goal is to deliver a fast and lower lost premium service to our customers. With GPS tracking devices to all trucks plus our group of professionals including certified and experienced specialists, we confident that your cargo is secured and arrive your destination on time that give you greater peace of mind. Due to having high demand and get trust from our customers on our premium service and quality. We currently provide service on maintenance and repair of container, install Garments on hanger (GOH), install and design Container offices/housing. Our team is one of our comprehensive maintenance programs to ensure that the repair of the container is in the best condition. Our materials are used to repair tank container manufacturing approved products, to ensure that container shipping companies, the recognition of our repair, and we can provide all kinds of special GOH Container production and the transformation of services. GOH container production and the transformation of services. Revised case of carbon dioxide gas welding, to ensure the welding quality and beauty. 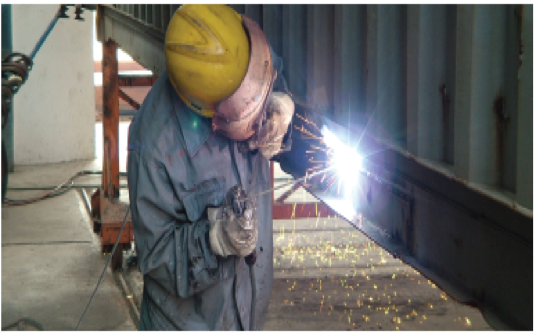 All use manual welding structural elements, to ensure that the welding strength. Hanging instead of folding into boxes. 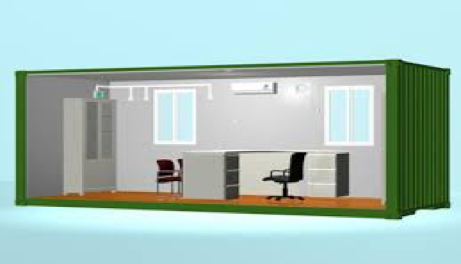 We are engaged in offering Container Site-Offices that are highly appreciated for compact size, high structural strength and eye-catching designs. These offices are available in different colors, sizes and designs as per requirement of the clients. We make sure that the Container Offices are checked by Quality Controllers to ensure their flawlessness. Teng Lay Group is the large conglomerate holding company consists of four service providing companies namely Teng Lay Import & Export and Transport, Teng Lay Engineering, Teng Lay Dry Port, and Teng Lay Development. Teng Lay Group is strong and stable and we look forward to creating continued opportunity for our customers, stakeholders and partners in the near future. Teng Lay Group has over 300+ clients and partners which currently cooperate with us. We commit to provide them premium customer service and help them grow together in Cambodian Market. @2017 Teng Lay Group, Inc. All rights reserved. Develop & Design by Flexitech.